This may be my favorite piece I've built so far. 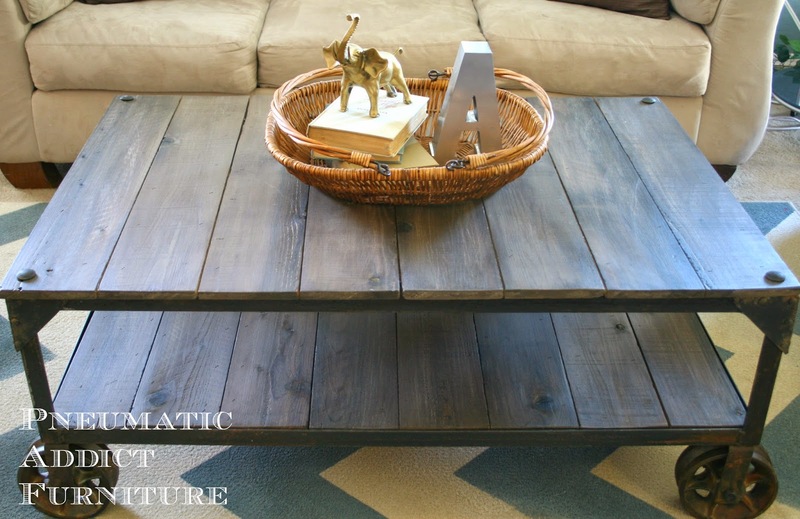 It is actually something for my own home, so I may be a bit biased, but a lot of love went into this table. 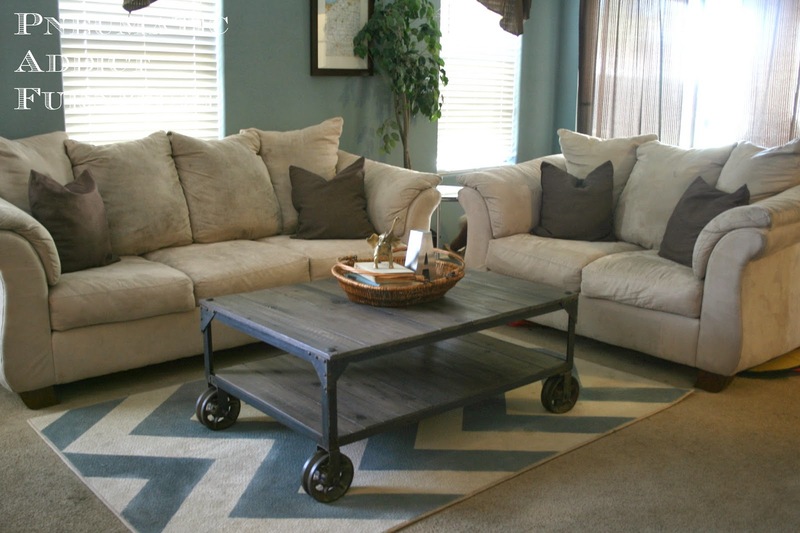 I've been drooling over the "Aiden" table from World Market for quite a while, and $289.99 for a coffee table isn't a bad price, but I could do better. There were just a couple things I didn't like about it. First, although the top is "made from real mango wood" it is only a thin veneer. I would end up tweaking the color of the wood anyways (a bit too bright for me). 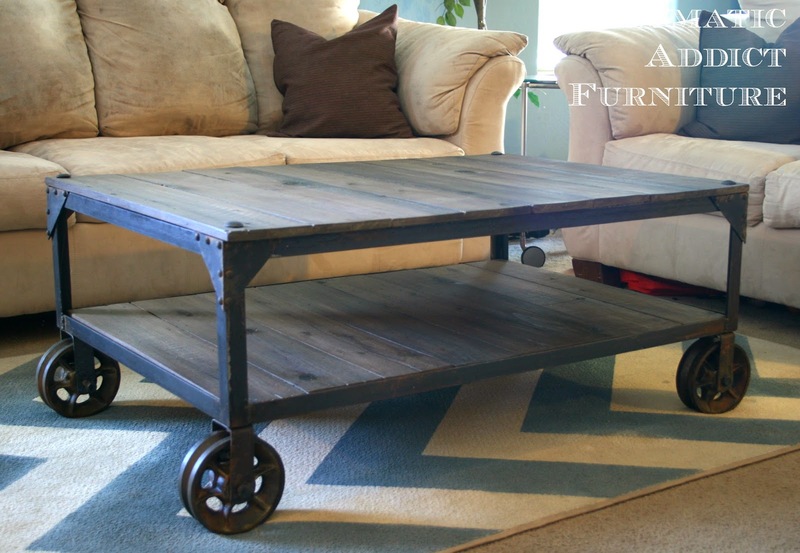 Also, some of the reviews I read mentioned the casters falling off and I really wanted the look of over-sized casters. I've been wanting to practice my welding since my first welding lessons, so I finally decided to give this coffee table a shot. The construction of it was actually pretty simple. 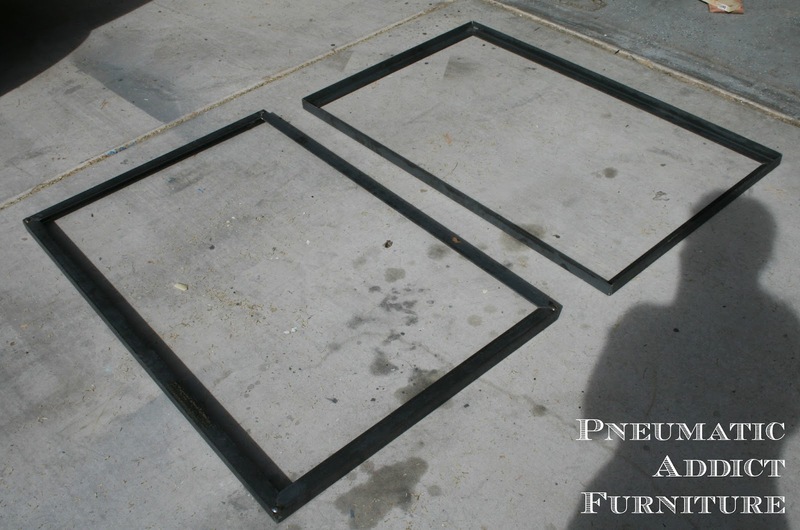 I started by building two frames (42" x 28") from 1.25" wide, 1/8" thick angle iron. I used a chop saw (different from a miter saw) to miter the corners. I then used a MIG welder to run a bead of weld across the top and outside seams. I cut four legs from the same angle iron at 10". I then flipped the first frame on it's face and welded a leg on the outside of each corner. I flipped the second frame on it's face, lined up the legs, and welded the pieces together. I now pretty much had a rectangular box with the angle iron open to the center. I picked up my steel from Industrial Metal Supply and found some awesome, heavy, 6" v-groove steel wheels. 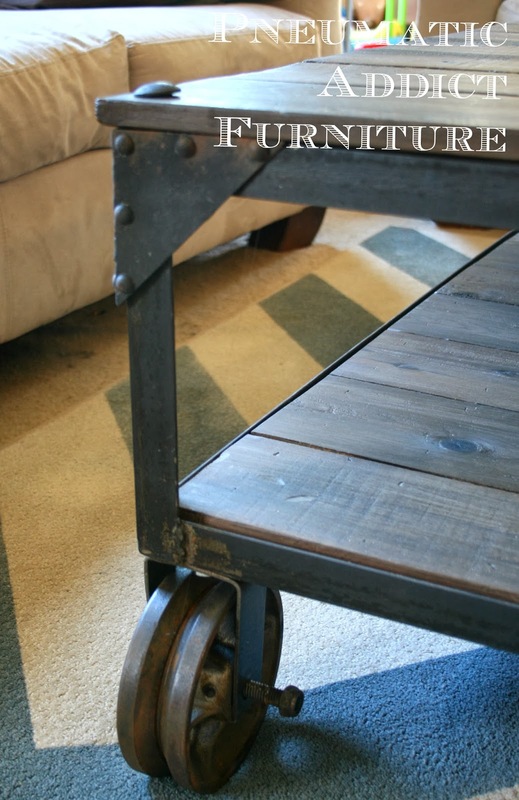 I've been looking on-line, through thrift shops and craigslist for large casters for a good price. I may as well have been looking for the pot of gold at the end of the rainbow. 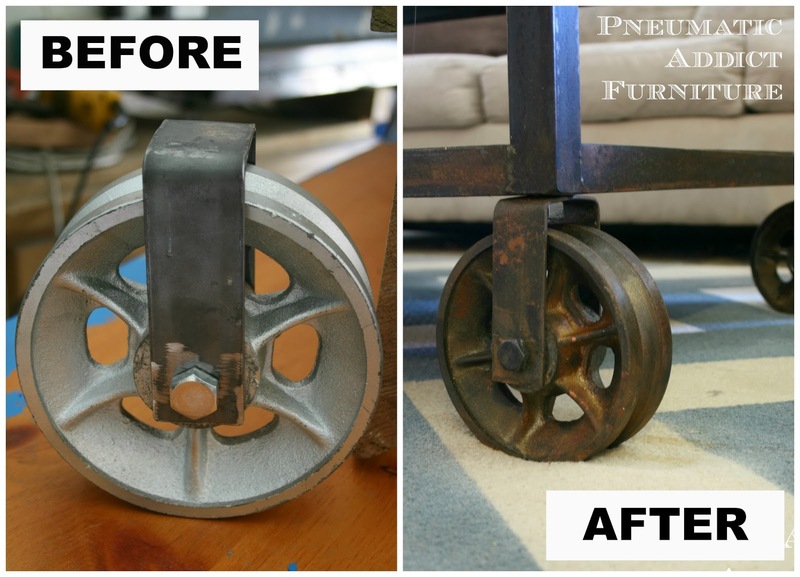 Cheap, over-sized, steel casters do not exist. When I saw these wheels, I started to think about ways to mount them to my coffee table. I came up with a cheap and somewhat easy solution. I'll share a tutorial on them soon. 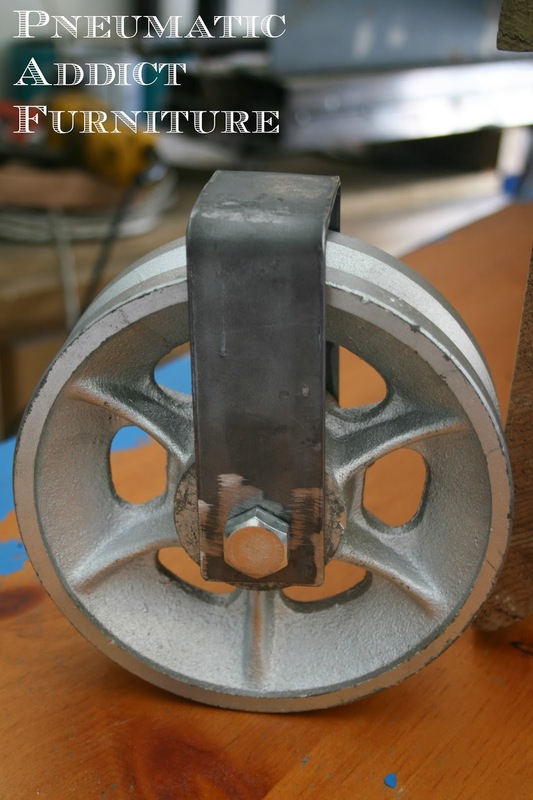 This system would work as rigid (non-swivel) casters for a number of different projects. To attach them, I drilled a 1/2" hole in the top of the caster bracket, as well as all four corners of the bottom rail of the frame. I then ran a 3/4" long, 1/2" bolt through the bracket and bottom rail, and secured it with a nut. With my frame done, it was time to address the top. 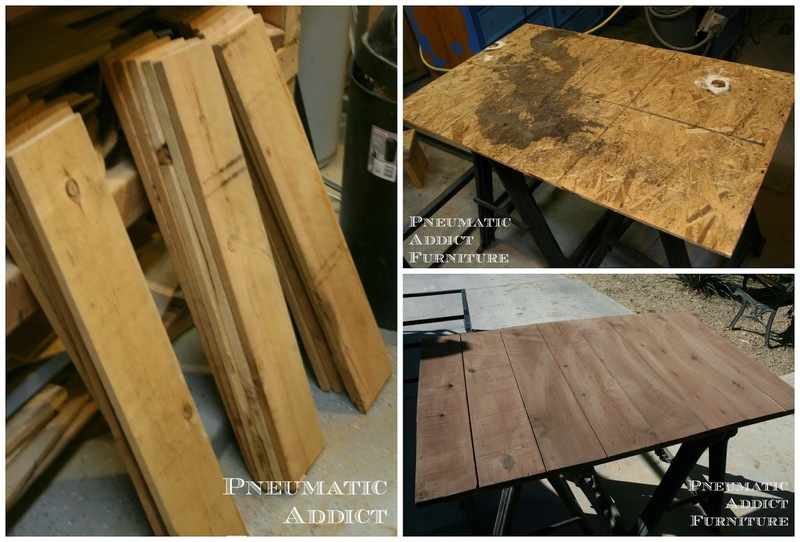 I was really going for a "pallet-ish" look for the wood, but I've experienced pulling pallets apart (about as much fun as going to the dentist), and to try to find enough slats around the same size and thickness wouldn't be easy. A good substitution for pallet wood are fence pickets. The are rough-sawed, cheap, and come in a variety of widths. For my size of table, the design called for 8, 5.5" slats. I simply cut them all to length, and attached them to a scrap piece of OSB, cut to size, using wood glue and finish nails. I drilled 10 holes in the top rail of my metal frame, and secured the top with wood screws from the underside. The bottom shelf, I cut to fit inside the angle iron. Just make sure to notch out the corners of the OSB, underneath, so there is room to accommodate the caster bolts and nuts. The last step was to add the decorative gussets in the corners. I did a few things differently. For starters, I didn't curve my corner gussets. In fact, they aren't real gussets at all. I have a tutorial on how to make those coming up soon too. Secondly, I chose to add a carriage bolt in each corner to give a little detail to the top. Probably my favorite detail. The slats and finish of the wood are different too. The finish I used was the same as the wood crate tutorial. I REALLY love the 6" casters! To finish the metal frame, I selectively sanded areas with a fine grit flap disk. The wheels received lots of love from a wire brush. I then played around with a couple different patinas that I bought while at Industrial Metal Supply. I think I was able to achieve the tarnished, rusty look I was going for, without over doing it. The frame, wheels, and wood all received 2 coats of wax to seal everything. Its exactly what I was hoping for. I've asked this before, but I'll ask it again. Why don't you hear of women welding? You hear of women creating beautiful things from wood, but rarely do you meet a woman that welds. It's actually fun! And really not that hard. I would suggest keeping someone close by to help you set your speed and voltage until you get some experience. Also, practice makes perfect. I still have a ways to go with my welding, but I can do it well enough for my needs. Please feel free to ask questions about this project! I would love for you to try it. 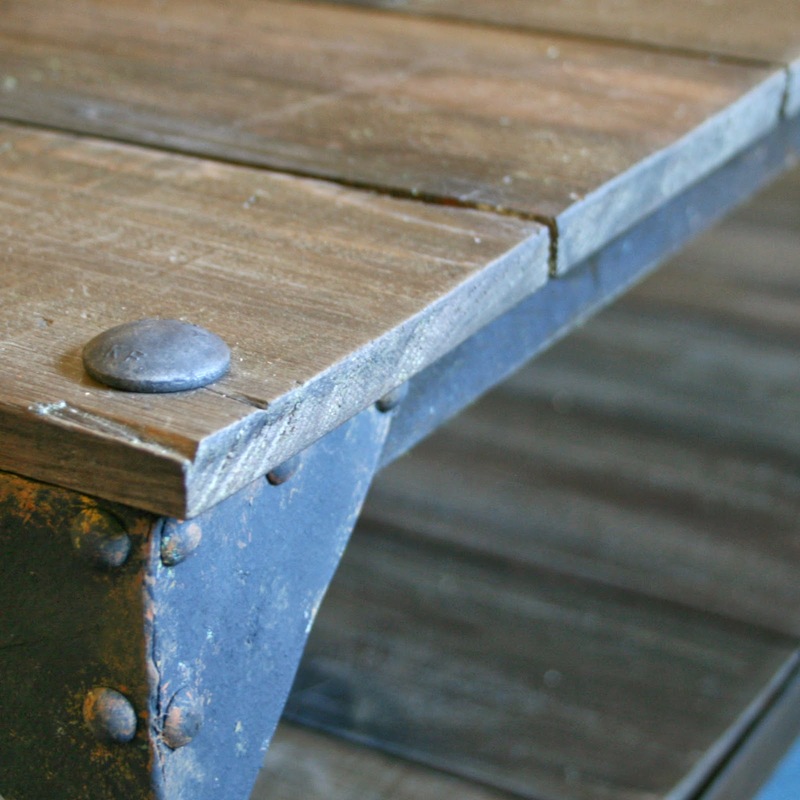 Cutting metal is slow and tedious, but this table is really quite simple. I was talking to the husband about it, and I think it may be possible to create a "no weld" version. Just lots of hole and bolts. If you are interested in trying, let me know! I would love to see it! OK I am in love with this! And so jealous, I want to weld!! Maybe this year!! Very impressive - and I like yours even better than World Market's! You weld?!! I am so envious. I like the wheels on yours tons better than theirs too. Very nice! This is so amazing! I love that you're a woman who welds! What the heck?! That is so totally awesome! It is way better than the inspiration photo, way better! You are amazing, and I wish I had your mean welding skills! I LOVE IT!!! Elisha, you are so amazing. Welding!!! I have thought about this too, but I wouldn't even know where to begin. 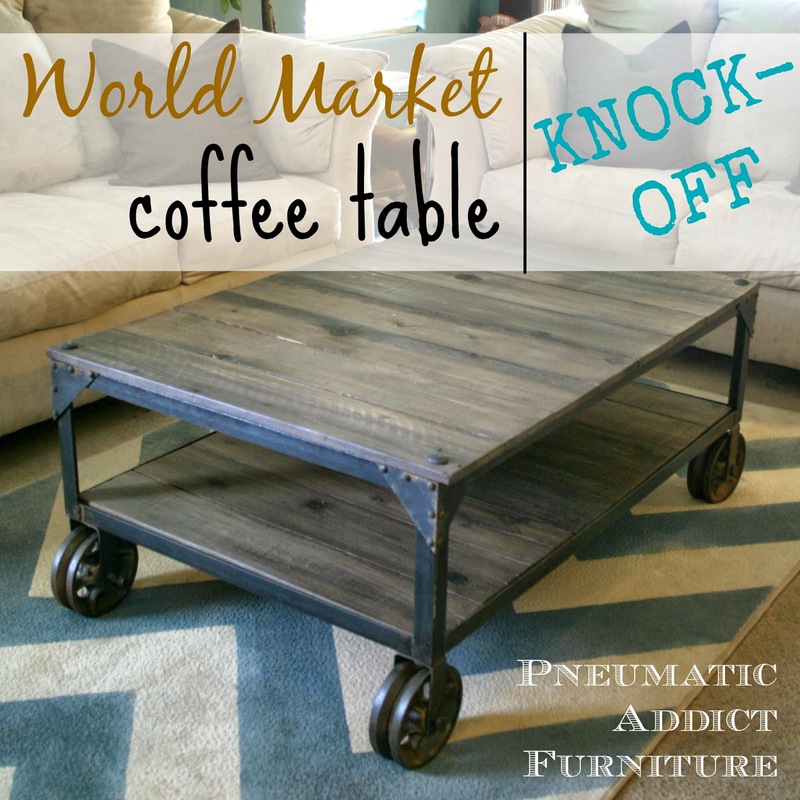 I love your Coffee Table way more than the Cost Plus one. SO COOL!!!! Oh geez...that's freakin awesome! Can you come over and build one for me. Welding is on my "to do" after I retire in April. My spouse is a CWI (certified welding inspector) and said to go for it. But I don't thing I want him doing any inspections on my work. heh. Wow, that is one gorgeous table! I am totally impressed by your mad skills! So very impressive! It's beautiful! Woohoo! You go girl! If I had someone to teach me how to weld, I'd be game to try it! 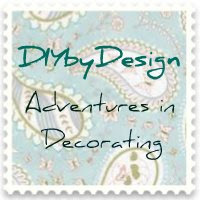 I joke that I'm a fearless DIYer until it actually comes to the "doing" part ;) When it involves new tools and techniques, it takes me a while to build up my courage to jump in, but I do LOVE the feeling of satisfaction afterwards! You are my new hero, er, heroine! You weld!!!???!!! Got get me some of that training. THis table looks better than the inspiration table. And I love the aging technique on the wheels. Just absolutely fabulous. Fabulous! You must be thrilled, it's safe to say there are a lot of us envious of your talent and gorgeous table! Gorgeous! Can I put my order in now? Great Job! That looks fabulous! This is WAY better than the World Market version!!! I would buy this one and pass the other one right on by!!! Love the way it looks, great job! I shared your photo on my blog, linking back here. Hope this okay, stop and say hi! Impressive! Love how you were able to age everything to make it look more authentic- great job! this table is great. The wheels remind me of clothes line wheels. Do you think they would work? The table is great. Could you use clothes line wheels? They would be close to the industrial size and really cheap. Yours looks better than the World Market one! 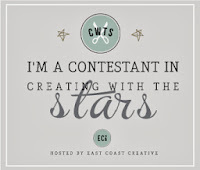 Elisha I am featuring this today at my link party. The coolest project you have done! This is awesome, I have never considered getting into welding to create furniture but this is very inspiring. Love it! Looks great! I wish I could weld! Your version of this is light years beyond the original! Love the casters! Amazing! You are absolutely brave. 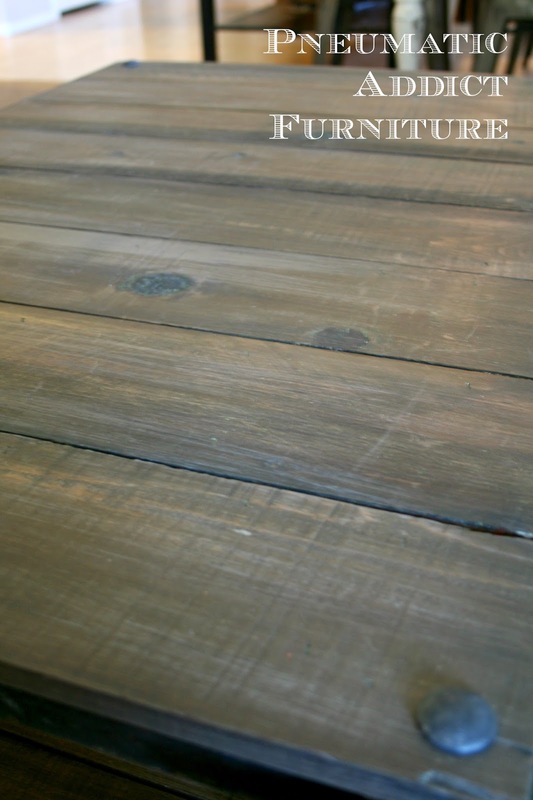 Your table is a million times neater than world market. Great job girl !!! Wish I was so creative. I actually think I like your version better! I love your table way better than the original! Great job! Looking forward to meeting you at SNAP! Your table is AMAZING!! I love it more than the original! Looking forward to meeting you at SNAP! 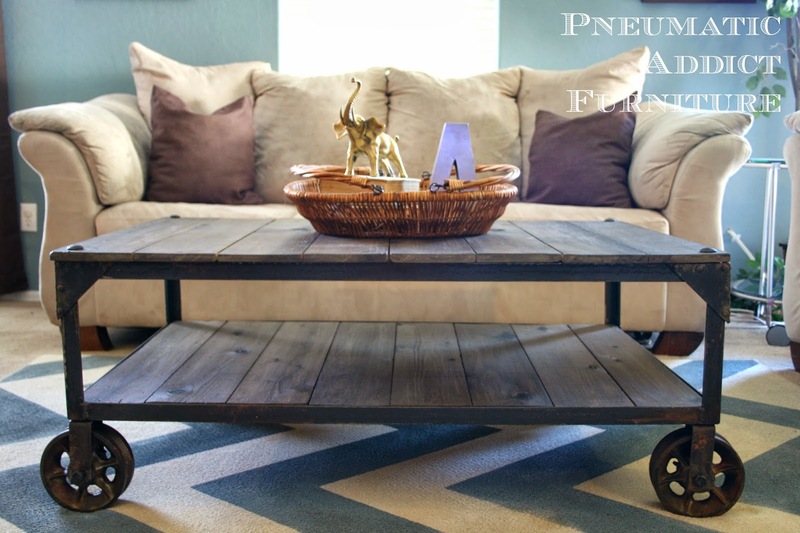 Love the table and great job on the wheels! Beautiful.. Where can I find decorative gussets? Thank you! Unfortunately, I have not been able to find gussets anywhere! I had to make these ones myself. 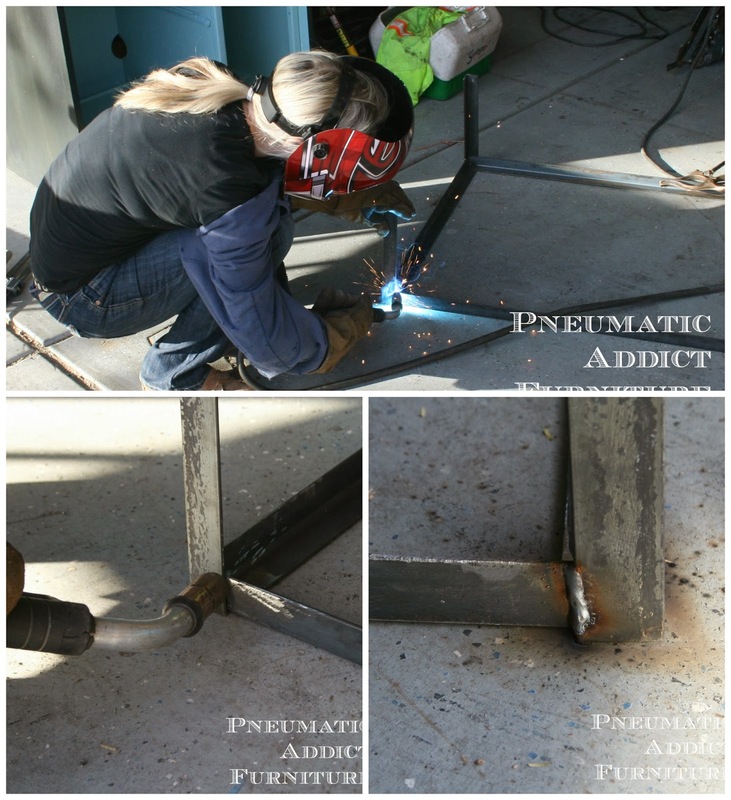 I have a female friend who is incedible with a plasma cutter and welder. Probably better than most proffesional metal fabricators I know. Looks Amazing!!! Wondering if you could share how you made the gussets, what did you use for the rivet heads? Thanks Dave! They were actually "faux" gussets. I wanted to make them from steel, but I wasn't able to find a good solution for the rivets. What I ended up doing was making the gussets from 1/8" plywood, and using upholstery nail head tacks to create the look of rivets. After pushing through the plywood, I used some tin snips to nip the sharp end off the tacks. I hope this information is helpful! 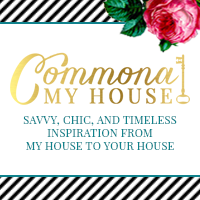 Thanks for checking out the blog! This is far more to my choosing than the store bought version. I love it! I'm a 73 yr old woman and have done everything, but weld. Is the equipment to do that very expensive? I sure would love to try it! where did you buy your caster wheels from? and how much was your final cost of the table? I actually built the casters myself. Here's the tutorial http://www.pneumaticaddict.com/2014/02/how-to-turn-almost-any-wheel-into-caster.html . All the supplies cost me around $160. How do I buy your superior version of this table!! !